The Wall-Mount Mirror Sculpture is another first for VERPAN. 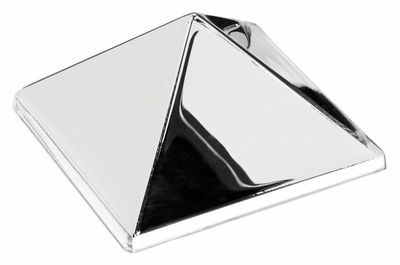 Created by Panton for his own home, and produced only in limited edition in the 1960s, the few available examples of this playful pyramidal artwork fetch handsome prices in exclusive auctions. Now, VERPAN is producing the work in mirrored acrylic - and lets contemporary owners join in the creative process by arranging the piece's three quadrants in the combination of their choice.